It is 10am at Population Service International (PSI) Limbe Clinic in Blantyre. On this Thursday sunup, the weather is chilly, but as usual, the business area is busy with vehicles and pedestrians going different directions. However, there is a different story at the clinic. Boys aged between 10 and 19 are seated on wooden benches in clusters of 10 conversing in hushed voices. The mood is neither somber nor cheerful. Before them is a five minute circumcision process, an experience they have only heard about in sketches. They are here because PSI has organised voluntary medical male circumcision (VMMC) exercise to run for six weeks. Those aged below 18 have guardians. Evidently, most of them do not own the decision, but their parents. In pairs, they walk into a small room and the next thing that greets the airwaves are screams of pains from the theatre. With hardships, they walk out looking soaked in deep pain headed for the next spot to get pain killers and some advice on how to take care of the wound. The foreskin left behind is gone for good. Mary Bonomali from Bangwe Township, is one of the guardians in the group. She accompanied her 12 year-old son, Chikondi. “I want my son to be circumcised by medical experts,” she says with a gleam. Sitting next to her is Jean Wasiri from Manje Township. Her son, Robert, is next on the queue to be circumcised. Wasiri has a reason for bringing her son at the clinic. She wants the boy circumcised before going to the village for initiation. “Nowadays we prefer sending our sons to hospitals for circumcision before taking them to the initiation homes (simba) for the rite of passage,” she says. Once in the screening tent, a nurse screens the client for HIV and other sexually transmitted infections (STIs), but on voluntary basis. Limbe PSI supervisor Chisomo Kuyenda says: “Those with HIV are put on anti-retroviral therapy (ART) immediately while those with STIs are treated before the cut,” she says. Malawi, like other countries across the globe, subscribed to VMMC as a way of reducing new HIV infections and other STIs building up towards an HIV-free generation. World Health Organisation (WHO) and the Joint United Nations Programme on HIV and Aids (Unaids) recommended VMMC as a means of HIV prevention after a research established that the procedure cuts a man’s chances of contracting HIV by 60 percent. Other studies highlight that circumcision also protects women from cervical cancer. A study conducted in Mara region in Tanzania in 2008 shows women prefer circumcised males than uncircumcised. The study sample indicates 89 percent of women prefer the circumcised males. Since 2012, Malawi has been running the VMMC campaign. The 2012 VMMC communication strategy shows Malawi is targeting 2 450 000 males by 2020. Ministry of Health spokesperson Joshua Malango says government is on track.He said as of March 2018, the saturation rate was at 36.4 percent. “The only setback encountered was the end of World Bank grant in June which was supporting 20 districts,” he said. The same story is being sung by the stakeholders. PSI is optimistic that it will reach the 18 900 males target by the end of six weeks of the current campaign in Blantyre, Mulanje, Phalombe and Chiradzulu districts. She says in a day the clinic sees about 30 clients. In Blantyre only, PSI is targeting 37 546 males. Blantyre district environmental health officer Penjani Chunda says HIV prevalence rate has fallen. He says VMMC initiative has contributed hugely. PSI Malawi VMMC manager Kenneth Sikumbili says the harmonised approach to fighting HIV is translating, especially the VMMC. 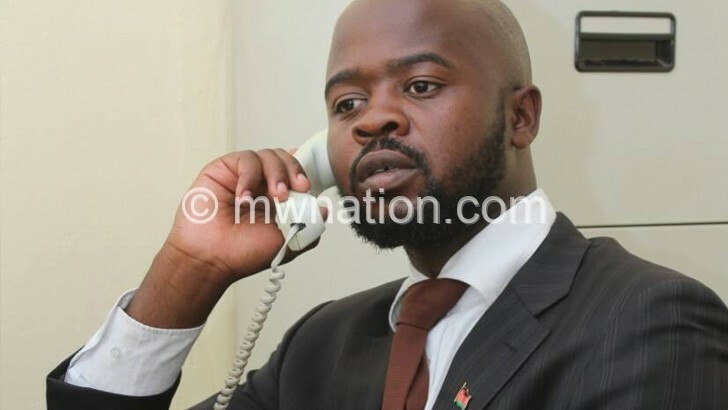 “Since 2013, the number of people seeking VMMC has been rising and it is because of community involvement and the integration of initiation counsellors (Angalibas),” he says. Cassim Simba, an Angaliba at PSI Limbe Clinic say their new role is to encourage males to undergo medical circumcision.